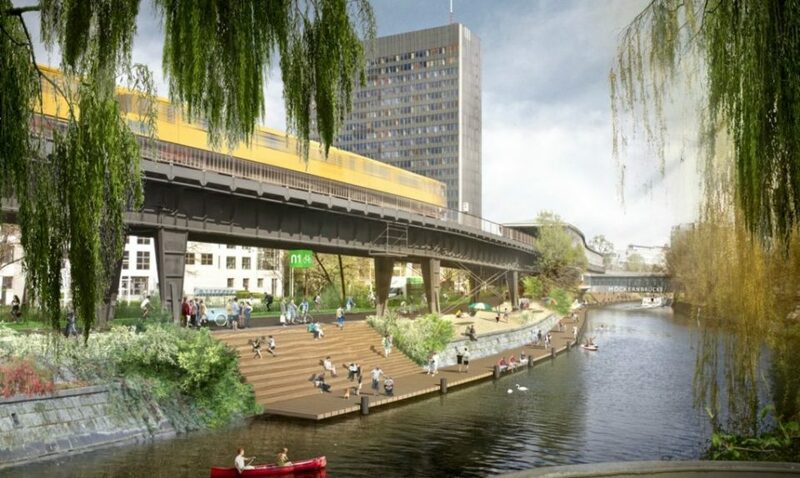 A long unused strip of space weaving through Berlin is set to become a bicycling boulevard, sheltered by the tracks above and lined with bike service stations, recreation areas and food trucks. This latest rails-to-trails project has six miles of space to work with, connecting major roads and multiple neighborhoods. Completely disused aside except as illegal parking and intermittent strips of sidewalks and seating, the area below the U1 line is ripe for rehabilitation. 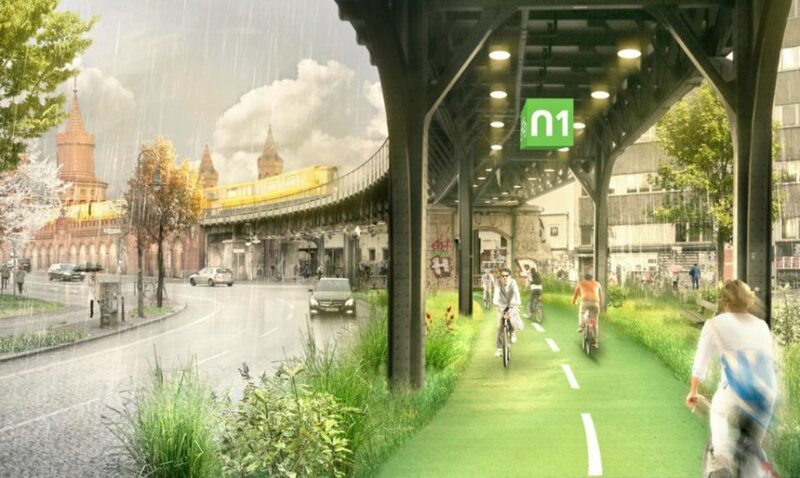 As in other cities with similar programs, the Radbahn aims to serve not only as a traffic corridor and green trail but also to activate adjacent spaces. 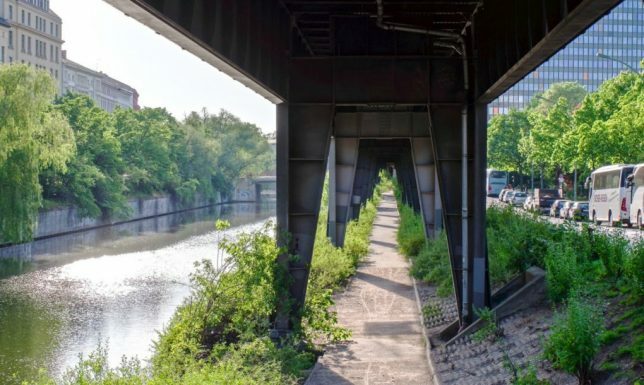 Pocket parks and commercial vendors are expected to spring up along the route, and side extensions can bring bikers down to adjacent waterways and other natural features. 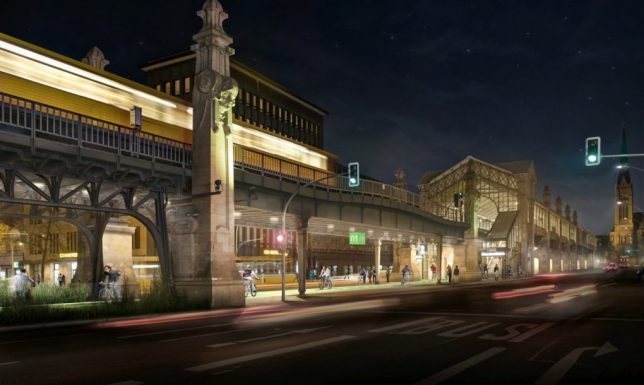 Meanwhile, riders can enjoy a rain-free experience (it rains over 100 days per year in Berlin). Cyclists looking to take the train can also park their ride in sheltered spaces below the rails near stations. The minimum width and consistent coverage of the tracks above provide for a sufficiently wide trail from start to finish, while studies have shown that train noise below tracks is reduced as compared to adjacent space. 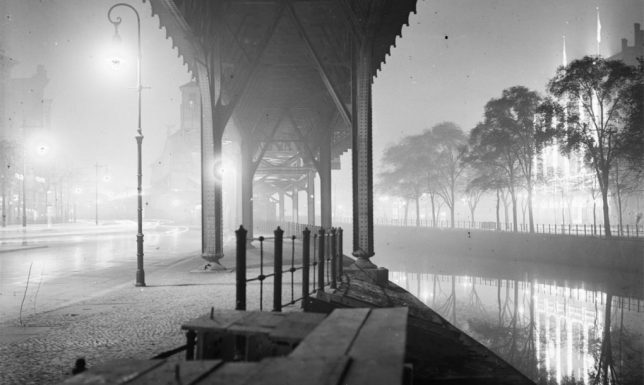 Per the proposal, the goal is “revitalize the former space along the iconic U1 line to a pulsating urban artery. 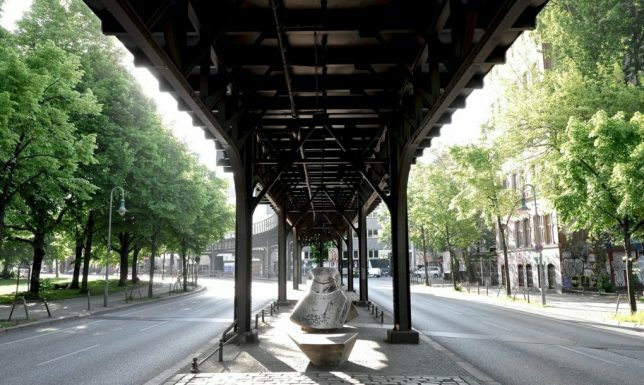 It thereby acts as a playground for modern mobility, innovation and leisure activities.” In typical German fashion, the project designers and engineers have already extensively documented and mapped opportunities throughout the route, which you can explore in greater depth by visiting their website.